Gary Oldman Joins The Human Resistance In DAWN OF THE PLANET OF THE APES! You had me at Jason Clarke, DAWN OF THE PLANET OF THE APES. And Kodi Smit-McPhee was a nice addition. 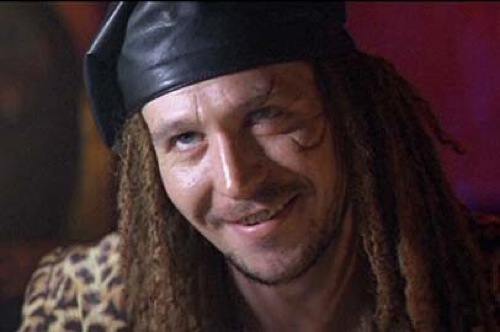 But if you feel like you need to throw in Gary Oldman, too, I'm not gonna stop you. According to the kids at ComingSoon.net, one of our greatest living actors has joined the cast of Matt Reeves's sequel to RISE OF THE PLANET OF THE APES. Oldman will reportedly play "the leader of a human colony". The film, which takes place fifteen years after RISE, will shift back and forth between Caesar's establishment of ape rule and the organization of a human resistance (as presaged at the end of RISE, a virus has wiped out most of humankind). That's about all we know story-wise. Mark Bomback is writing the screenplay for DAWN OF THE PLANET OF THE APES. Do yourself a favor, and don't look at his filmography. The film is currently scheduled to hit theaters May 23, 2014.